The Indian government has ordered 250,000 OLPC (One Laptop Per Child) XO laptops for its schools – a massive victory and a much-needed shot in the arm for the OLPC project. 1,500 Indian Schools will get the latest batch of a quarter of a million OLPC XOs. It is not yet clear if they will get the latest version with the upgraded processor and storage capacity. "In total sales and deployed units, OLPC still lags behind Intel's competing Classmate PC initiative," notes Ars Technica. 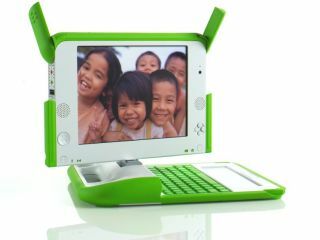 "India's purchase of 250,000 XO units will help OLPC recover some lost credibility. It demonstrates that major buyers still believe that the program is viable and that the laptops deliver reasonable value."